Every custom design request we receive at Diamond Boutique is the beginning of a very special journey, one we enjoy thoroughly. This is exactly how we felt when Michelle Heaton, television personality and member of pop group Liberty X, sent a custom design request to remake her ring. Her eternity ring was a single row half set diamond eternity ring, which had unfortunately broke. Through a consultation with our expert jewellery designers, Michelle discussed her ideas of wanting to bling up her ring; make it a unique addition to her ring stack. She shared designs and provided a vague idea of what she was looking for. 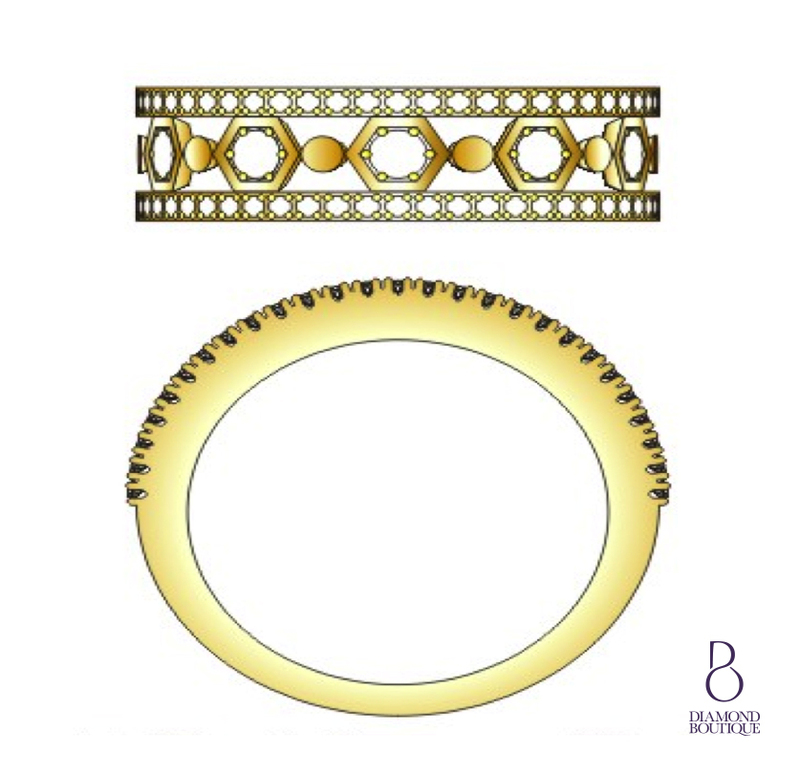 Our expert jewellery designers, who are hugely skilled and creative, then set out to create a couple of 2D sketches of her ring based on the consultation. It was a tough choice but Michelle selected her favourite design from the choices available. 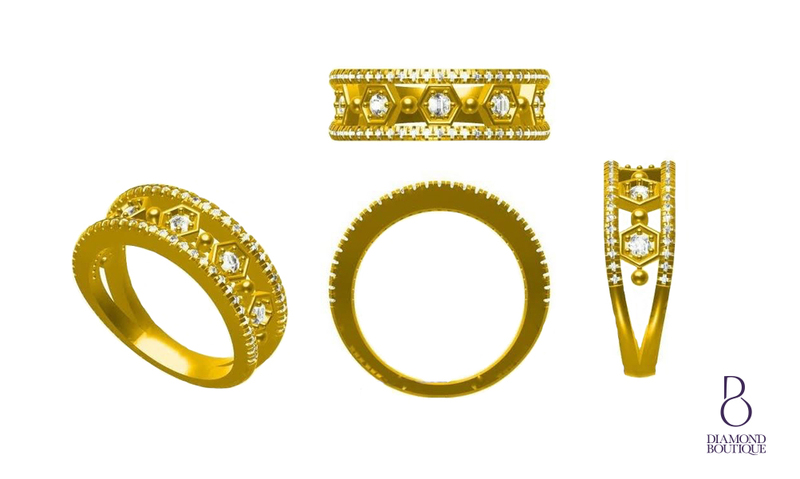 Our custom design team then crafted a 3D CAD model; this is a computer-aided design of what her finished ring would look like. Michelle’s dedicated designers involved her throughout the process, allowing her to see her creation from all angles. At the final stage of the custom design process, Michelle’s ring was handcrafted from the highest quality materials. 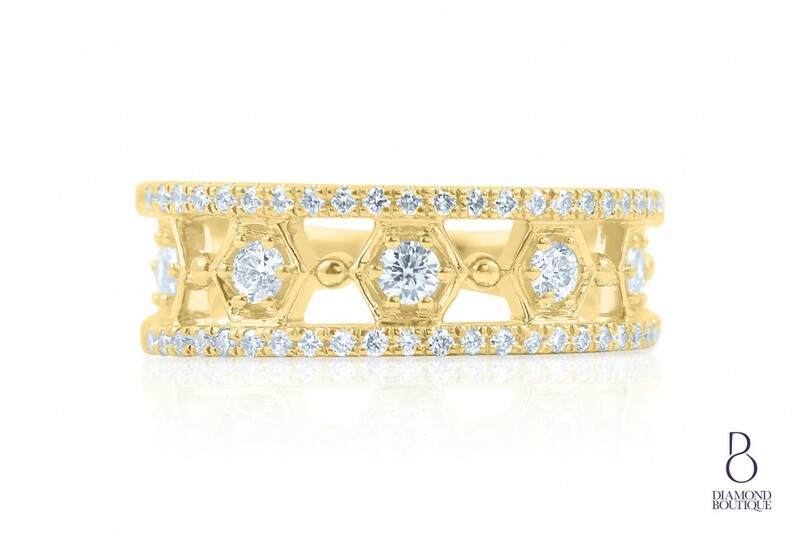 Her eternity ring featured 0.56cts of round brilliant diamonds of H colour and SI clarity. Yellow Gold provided the perfect finishing touch.